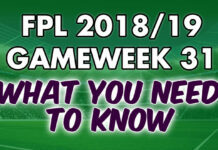 It is still early days in Fantasy Premier League so you shouldn’t be overly worried about your current position in the FPL rankings. Gameweek 1 was particularly high scoring hence the average of 53 points. Here is our cheat sheet for the Fantasy Premier League Gameweek 2 fixtures. Percentage chance of winning, keeping a clean sheet and most likely goal scorer are all included. There are three clear captain options for Fantasy Premier League Gameweek 2: Mohamed Salah, Harry Kane and Sergio Aguero. Their relevant stats for Gameweek 2 are below. 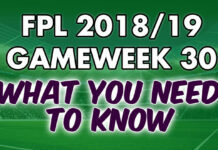 With the fixtures as they are for Gameweek 2, FPL managers are spoilt for choice between these three. Mohamed Salah against any bottom half team, regardless of form or being home/away, is a tempting captain choice. However, with Harry Kane and Sergio Aguero both being at home this rules Salah out. Kane’s lack of goals in August has been documented over and over but there is no real logic behind this stat. As a result this shouldn’t discourage you from captaining him if he’s in your team. The bookmakers give him over a 60% chance of scoring against Fulham. This leaves Sergio Aguero. The Man City front man is at home to second relegation favorites Huddersfield. Man City have an incredible 91% chance of winning the match and there is more than 2 in 3 chance of Aguero scoring. The only doubt over Aguero is Pep Guardiola’s habit of rotating players. We expect him to start but it’s not too unlikely Gabriel Jesus could take his place. Some Fantasy Premier League tips are advising FPL managers to not captain Aguero, and even worse transfer him out. Ignore these sources, Aguero is statistically the best captain choice for Gameweek 2. When doing transfers all of the following factors need to be considered: form, fixtures, team value. It’s important not to jump on a bandwagon you shoudn’t be on. 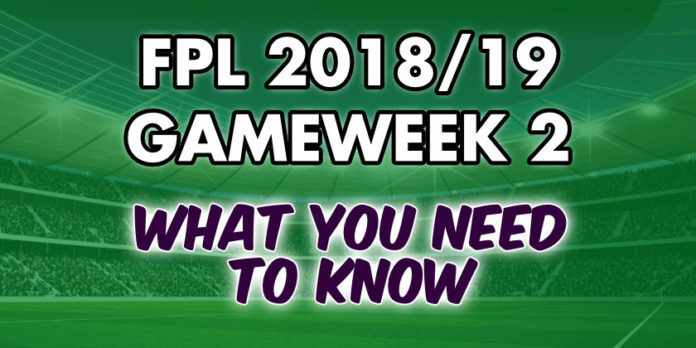 If a player performed well in Gameweek 1 and has good upcoming fixtures that is the type of player you want to be transferring in. Examples include Benjamin Mendy and Richarlison. Luke Shaw on the other hand has average upcoming fixtures and his Gameweek 1 goal was the first of his career. This is an example of bandwagon you should avoid. Here are our Gameweek 2 transfer suggestions.